Poor air quality is a serious problem. Exposure to air pollution is linked to the premature deaths of an estimated 6.5 million people every year. This makes air pollution the fourth largest threat to human health. Only high blood pressure, dietary risks, and smoking are a bigger danger. According to the World Health Organization, more people die as a result of air pollution than HIV/AIDS, tuberculosis, and vehicle-related injuries combined. And the number of deaths attributed to poor air quality is expected to increase in the coming decades if current trends continue. According to a new report from the International Energy Agency, while premature deaths related to indoor air pollution are expected to fall to 2.9 million a year by 2040, premature deaths as a result of outdoor air pollution could rise to 4.5 million annually during that same time span. And Asia will account for 90% of that increase. The IEA report blames itself – the energy industry – saying it is the single most important source of man-made air pollution. 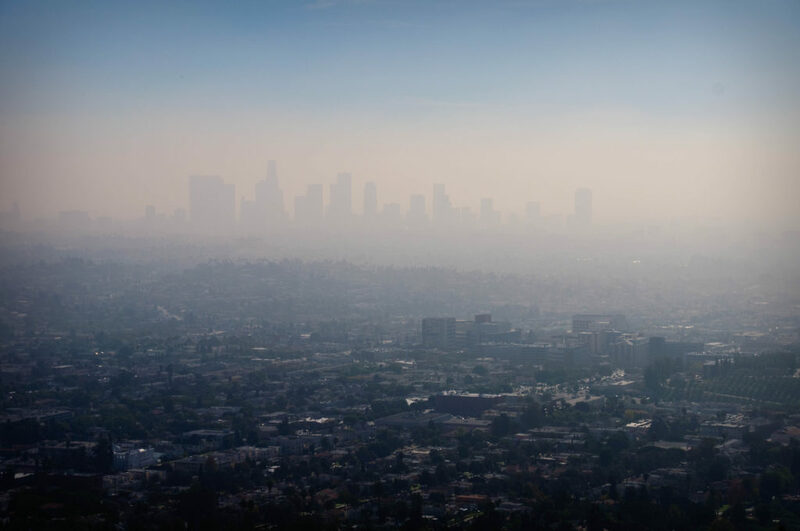 An estimated 85% of hazardous particulate matter in the air comes from the energy industry. Particulate matter has been linked to lung cancer, strokes, heart disease, and a host of other health problems. While the outlook is certainly dire, the IEA report stresses that millions of lives could be saved through global investment in cleaner energy and emissions controls. It suggests adopting new long term energy and air quality measures that can be effectively monitored and enforced. With the health risks associated with air pollution expected to intensify in the coming decades, the fight to combat it also needs to ramp up. At the end of the day clean air is a right. And economic growth and development should never infringe on that. Photo, posted November 18, 2010, courtesy of Dave Herholz via Flickr. ‘Our Air Is Killing Us’ from Earth Wise is a production of WAMC Northeast Public Radio.